Happy Friday! I got a little treat for myself. Whenever I get a treat for myself, 99.9% of the time it's book related. I've mentioned many many times that if a book has a super pretty cover, then the chances are high that such a book will be coming home with me. Such was the case with this lovely, 'The Lost Memoirs of Jane Austen', by Syrie James. A couple of years ago, I really enjoyed another Syrie James book - 'The Secret Diaries of Charlotte Bronte'. 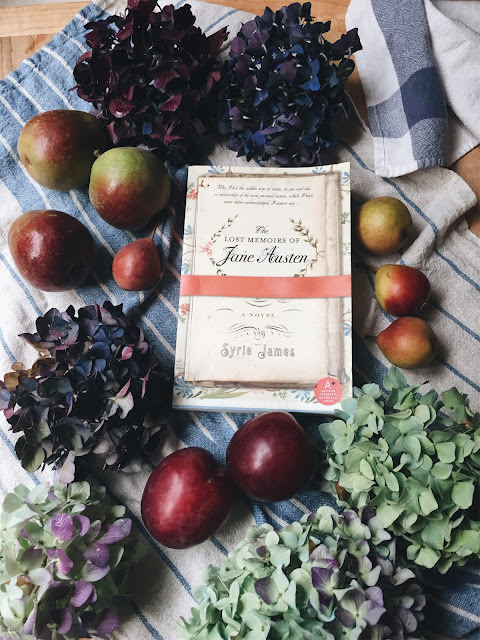 The premise of this novel is that Austen could not have written about romance as intensely as she did without having had some first hand experience of her own, and this fictional story imagines a romantic relationship that gave fuel to her writing in 'Sense & Sensibility. Oh and check out this GORGEOUS annotated edition of 'Sense & Sensibility'! Beautiful! As soon as I wrap up my current read, this is next, I'm so excited. Jenny Rosenstrachs's favorite tofu dinners. How to read tarot cards. Really want Dorie Greenspan's new cookbook. I love Naomi Watts, and also have a similar haircut now, and sensitive skin, so I was happy to read her Into the Gloss beauty profile. A dear friend of mine just launched a new online shop, and right now it's stocked with darling candy corn Halloween-esque merchandise, go see! Oh my. I have GOT to make this! Fall decorating ideas from Target. You might have already seen this, but I adored this piece on going grey. 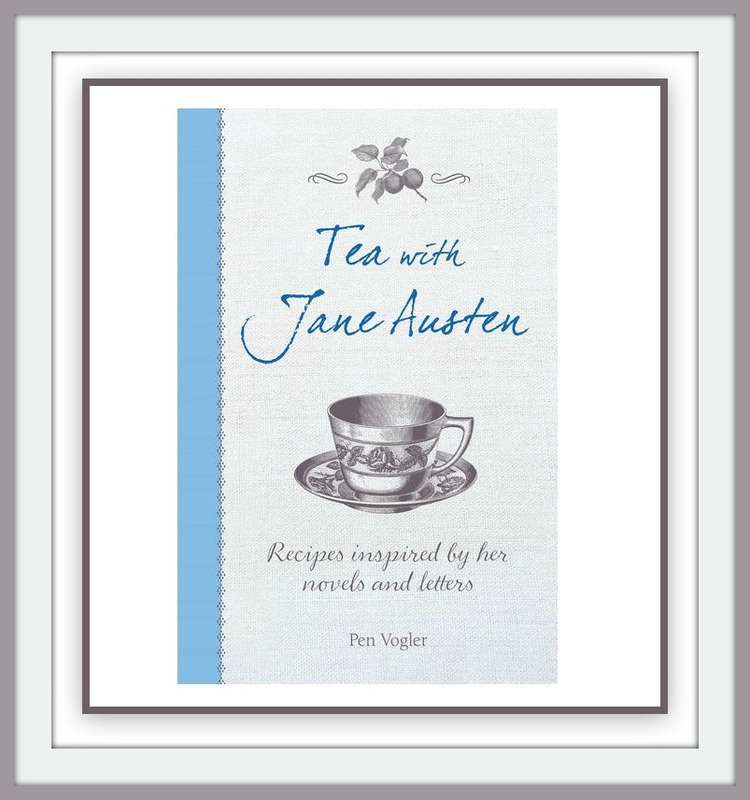 Cool Book of the Week: While we're on the subject of Jane Austen, how cute does this look? 'Tea with Jane Austen - Recipes Inspired by Her Novels and Letters' by Pen Vegler. There's a plum cake! There's rolls, buns, tarts, and biscuits! There's GINGERBREAD. Oh and if the sound of all this strikes your fancy, before I saunter off into the weekend, you might want to know that the same author has another book called 'Dinner with Mr. Darcy.' Tootle-pip! Have a lovely and autumnal weekend. Book Box news! The rest of the 'Back of the Attic' boxes are going into the mail today (that theme is SOLD OUT, thank you so much to all those who ordered!! ), and in a week, I'll do a full reveal here and on Instagram. I've also GOT to make the Sour Cream Pumpkin Coffee Cake!! Oh my, it looks so delicious and screams autumn to me! Target has some wonderful things for fall decorating right now. I really want that stripped rug! Hope you have a lovely weekend, friend! I really want Emily Henderson to come decorate my house, all with Target stuff. One can dream!!! Also, I've dusted off my tarot cards lately and have had two 3-card readings that have been really interesting and spot on. I always look at tarot and astrology and such as ideas to consider. "why not think about this or have you considered that" etc. Not really fortune telling. And WHY did you have to post the pumpking sour cream coffee cake????? WHYY????? you are so welcome!!!!!!!!!!!!!!! XOXOXO! That's awesome that you have your own deck. I really want some for Christmas. Some really vintagey and/or super beautiful cards! I think it would be really fun. I posted the pumpkin cake because i firmly believe in the misery loves company approach to life HA HA HA HA LOL LOL.